The statistics are frightening. 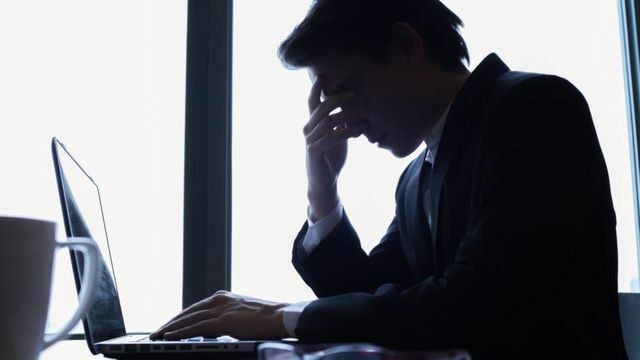 With more and more openness around mental health issues employers need to start paying attention to how to best support employees suffering from depression and other mental health issues. In a recent WRC case (A Sales Representative v A Wholesaler DEC-E2016-131) the employer was severely criticised for dismissing an employee under the guise of performance and disciplinary issues after they had returned to work having being diagnosed as suffering from depression. The employee in this case was dismissed following a Skype disciplinary hearing of which he had no notice. The employee was still in a probationary period and so the employer was probably of the view that the normal level of dismissal procedure was not required. However the employee had recently returned from work after being diagnosed with depression and was on prescribed anti-depressants. His personnel manager insisted that he tell the company exactly what medication he was taking. The company did not send the employee for any medical assessment before or following his return to work. The employee was ultimately dismissed shortly after his return to work for performance and disciplinary issues. The employee then took a claim for discriminatory dismissal. Ultimately the WRC found that the employee has been dismissed based on discriminatory grounds and awarded him 6 months pay which amounted to €18,000. 1. Depression is a disability and so the impact of the Employment Equality Acts must be considered. While an employer is not obliged to maintain an employee in employment where they are not capable of fulfilling the role they were hired to do, they must take in account the obligation to provide that employee with reasonable accommodation. This means they must consider whether there is some arrangement or support that can be provided to the employee in assisting them in being fully capable in carrying out the role. This exercise needs to include the most up to date medical advice and consultation with the employee. It is only if reasonable accommodation is not possible that a capability dismissal should be considered. 2. Even if an employee is on probation they are still entitled to fair procedures if being disciplined or dismissed. It is important that there is a genuine paper trail kept of the dismissal process. This is particularly the case where the employee has a disability as a claim under the Employment Equality Acts is possible. An employee does not need to have a minimum level of service to take this type of claim. 3. Employers should be very careful not be make presumptions or allow unconscious bias to factor into any decisions when dealing with employees suffering from depression. Decisions about the employee should only be made with a full medical opinion and after consultation with the employee. Employers should consider engaging specialist medical advisors when dealing with mental health issues and assessing an employee's ability to carry out their role. In 2013 alone, about 55,000 workers in Ireland were affected by work-related illness, resulting in a total loss of 790,000 productive days. According to the Economic and Social Research Institute (ESRI), musculoskeletal disorders (MSD) - affecting different parts of the body used for movement including the skeleton, muscles, tendons and ligaments -is responsible for the overwhelming majority of absences, at 50 per cent. This is followed by work-related stress, anxiety and depression (SAD) at 18 per cent. The research found the average length of absence in 2013 was 17 days for stress, anxiety and depression and 15.9 days for MSD. The average duration for all other types of work related illness was 12.8 days.